The British site The Shiznit has an annual tradition of poking fun at Oscar nominated films by creating ‘truthful’ parody promotional posters. 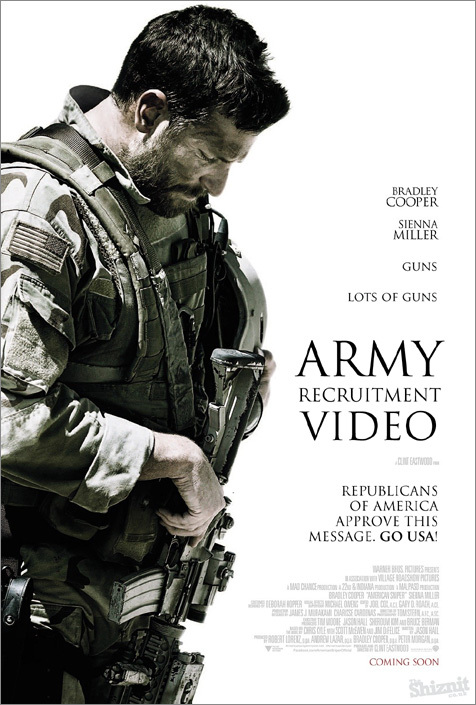 This year’s version, entitled “If 2015’s Oscar-nominated movie posters told the truth” goes after more than a dozen films, including American Sniper. The subject of the film, Chris Kyle, was a Navy SEAL. The joke’s on the lib media with this parody.